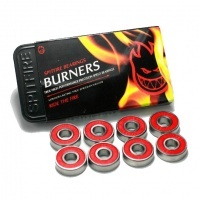 Skateboard & Longboard Bearings - We stock a variety of bearings from brands such as Blueprint, Bones, Chocolate, Element, Enuff, Fracture, Girl, Loaded, Lush Longboarding, NMB, Pig, Speed Metal and Spitfire! These are bearings we use ourselves and our locals use in custom setups for park, street, freeride race and cummute riding. There is a mixture of plastic and metal shield from Abec 5's to un-abec rated. When you have always wanted bones ceramics but couldn't justify the price now there is a Reds version to save cost but still have an awesome ceramic skate bearing. 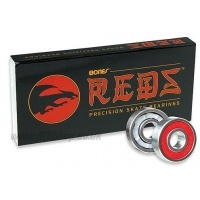 The Bones Reds are one of the most popular bearings we sell. Originally for skateboards & longboards the Reds are now super popular with scooter riders and Penny boards. 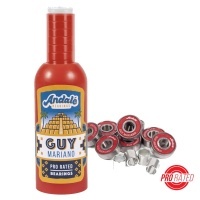 Classic lubrication for your bearings, Bones or any other brand. Give them some Bones Speed Cream Lube to sort them out and keep them running sweet. 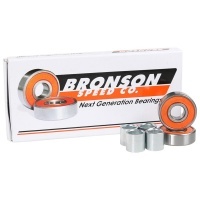 Bronson Speed Co are one of the top bearing companies, and here we have the little brother to the mighty G3. 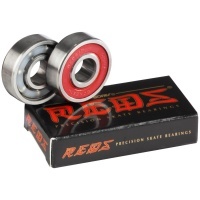 Perfect if you want top quality bearings at a lower price. 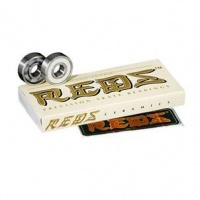 Hands down the best bearings on the market right here! Vacuum packed to keep them extra fresh. Tried and tested by us, you don't wanna miss them. Fast straight from the box. But these bearing won't melt at high speeds thanks to the precision balls, despite the great price. The standard Abec 5 Skateboard bearing from Enuff. These have rubber shields to reduce grit and moisture getting inside. 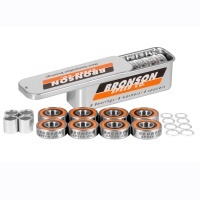 Great value simple bearings for skateboarding. Great solid standard Abec 7 Enuff Bearings. Perfect for skateboard, inline skates and scooters. With red rubber shields to keep the grit and moisture out of the bearing. 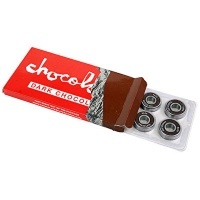 Great solid standard Abec 9 Enuff Bearings. Perfect for skateboard, inline skates and scooters. Black rubber shields to keep the inside nice and sealed. Finding your perfect bearing is a great feeling. But forking out for a new set can be painful. 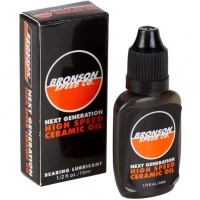 The Bronson High Speed Ceramic Oil Bearing Lubricant is the answer. NMB Bearings are the thing of skateboarding legend! 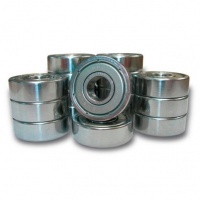 These are solid steel shielded bearings with extra tough support system inside. 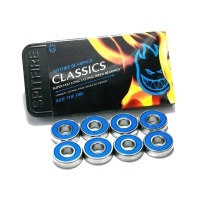 If you constantly pop bearings then these are the best bearing for you.